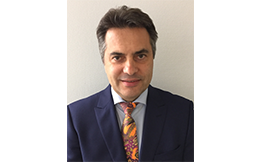 Alessandro Bonara is Head of Division in the Directorate General Statistics at the European Central Bank and he is in charge of the environment for the collection and production of supervisory and macroeconomics statistics. He is also involved in big data, data integration and machine learning activities for structured data. Alessandro has developed his expertise in the field of Central Banking and Systems for Statistics at the European Monetary Institute first and later at the European Central Bank since its establishment. He took part to various projects aimed at building the statistical application (IT) infrastructure for the ECB. He also worked in the field of Market Infrastructure and Payments. He holds a degree in computer Science and a post-graduate Master in Business Administration.